Ken’s Shuttle Service LLC is a full-service transportation company based in the Mountain Empire of Patagonia-Sonoita-Elgin, Arizona. Founded in 2009, Ken’s Shuttle Service began as a sole proprietorship, but incorporated in 2015 as an LLC (limited liability corporation). Individually-arranged pickups and/or drop oﬀs at Tucson International, Nogales International, Phoenix Sky Harbor and Phoenix-Mesa Gateway airports. However you choose to travel, Ken’s Shuttle Service can get you to your connection comfortably and on time. 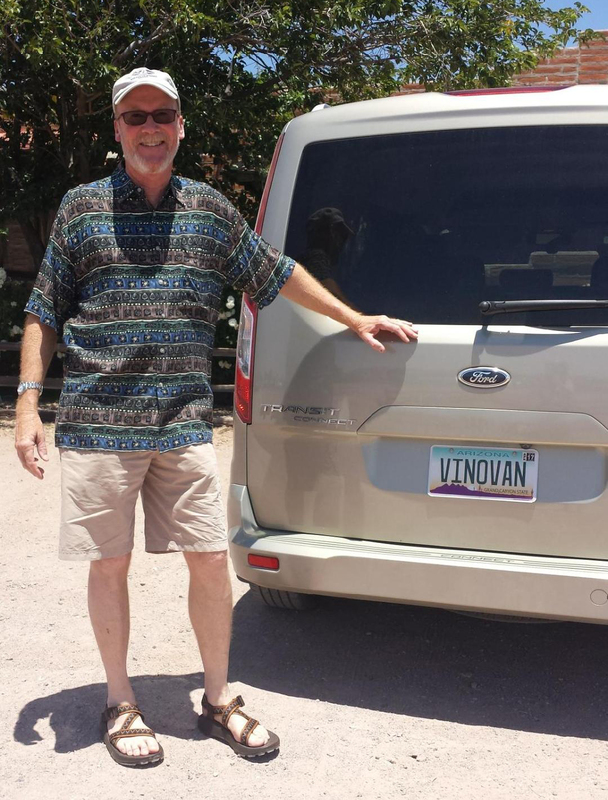 Book your tour today in the “VinoVan” to sample the region’s dozen or so wineries, microbreweries and distilleries. Groups of up to 6 (larger groups with additional lead time). Side trips available to Tombstone and Willcox. Hikers and bikers on the Arizona Trail can be dropped at the trailhead of their choosing. Call or email for a custom quote based on your speciﬁc needs.